WASHINGTON — The United States has delayed the imposition of steel and aluminum tariffs for another month, with a late-evening announcement Monday that pushed the internationally contentious issue off to June 1. The announcement came just before the deadline for the tariffs taking effect and marked the second such delay over an issue that has threatened to spark a global trade war. The White House said it would pause tariffs for Canada, Mexico and the European Union; would soon announce steel and aluminum agreements with Argentina, Australia and Brazil; and had already reached a deal with South Korea. In a statement, it described the goal of these negotiations with different countries: setting quotas that limit the volume of steel and aluminum imports, with the objective of keeping out excess Chinese supply that has depressed global prices. The issue is particularly relevant to Canada, as the No. 1 supplier of both materials to the U.S.
Prime Minister Justin Trudeau says he has repeatedly stressed to his American counterpart why tariffs on Canada would be an especially bad idea, given that U.S. military vehicles rely on metals from Canada, and private-sector supply chains also use materials that criss-cross the border. "I've had many conversations with the president," Trudeau told a news conference in Vancouver, hours before the delay was announced. "We are optimistic that [the Americans] understand that this would be a bad thing for both of our economies." Hours after the U.S. decision, a foreign affairs spokesman reiterated Trudeau's comments by saying Canada remains confident that the U.S. understands that tariffs would hurt American jobs as much as they would hurt Canadian jobs. Tariffs were previously scheduled to hit weeks ago, but President Donald Trump issued orders delaying them for Canada and Mexico, pending the NAFTA negotiations _ and then he delayed them for the entire world until May 1. 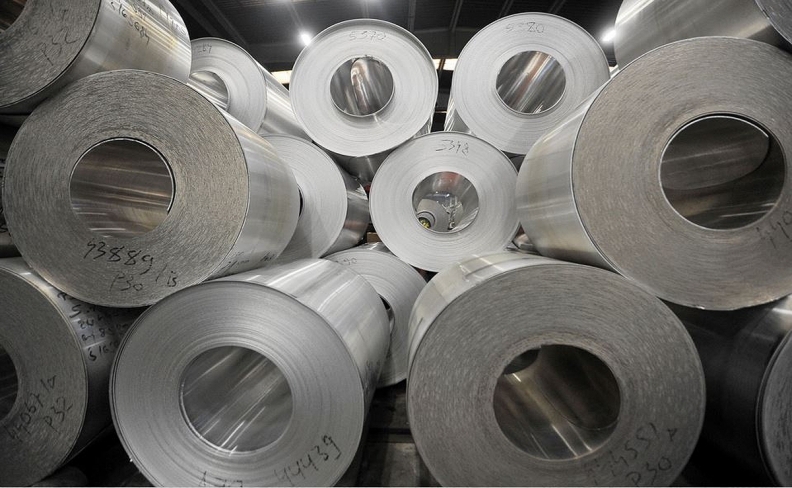 Now the U.S. says that in order to avoid a tariff, every country must agree to some restraints on steel and aluminum trading. "In all of these negotiations, the administration is focused on quotas that will restrain imports, prevent transshipment and protect the national security," said Monday's White House statement. Canada's position is that neither tariffs nor the alternative of quotas makes economic, legal or military sense. Trump's legal justification for such tariffs is that reliance on foreign metals threatens American national security. But Canada has argued that it has been supplying metals to the U.S. military for generations, that its imports and exports of steel are balanced, and that it is working with the U.S. to keep over-produced Asian steel out of North America. It's also unclear how tariffs would affect the heavily integrated auto industry, where the same piece might cross the border multiple times. "There's no jurisdiction on the planet that has a better case for a full exemption than Canada," Joseph Galimberti, president of the Canadian Steel Producers Association, said earlier Monday. "I could go on and on and on." The last U.S. ambassador to Canada under Barack Obama said he regrets the uncertainty being caused by his country's current trade policies. Bruce Heyman blames much of the confusion over NAFTA and other issues on the fact that the Trump administration lacks substantive ideas for what it wants to achieve. "I think it's style over substance. I think they have grossly mismanaged U.S. trade policy," Heyman said in an interview. "In particular, bullying our allies in trying to force a victory of some type, makes no sense... It's unfortunate. But it's a manifestation of having no policy. Or no coherent policy. It's just a lot of tactics. A lot of impulsive decisions, and threats, and bullying. It's no way the world's largest economy should be behaving." Heyman said he remains skeptical that a substantive NAFTA agreement is imminent. Some in the U.S. administration would like to reach a deal quickly, before the Mexican election and U.S. legislative midterms.